Azure Lorica produces social justice content for the public to share. From short stories to art festivals, we invite local communities to join us in our advocacy. By welcoming artists to submit their work, publishing media, and building an art community, we can spread the word and change our society for the better. Our members vote on the annual campaign each year, and we pursue each production (festival, podcast, etc.) with the newest cause in social justice, may it be for mental health awareness, proper education, or more. Subscribe today, and join us for our meetings and vote for the upcoming campaign of the year. Formerly known as Star Gazerz (DBA), a Teenage Cosplay Club led by Stefanie Warner, existing since 2000 – attending Anime Expo and various Masquerade Events. 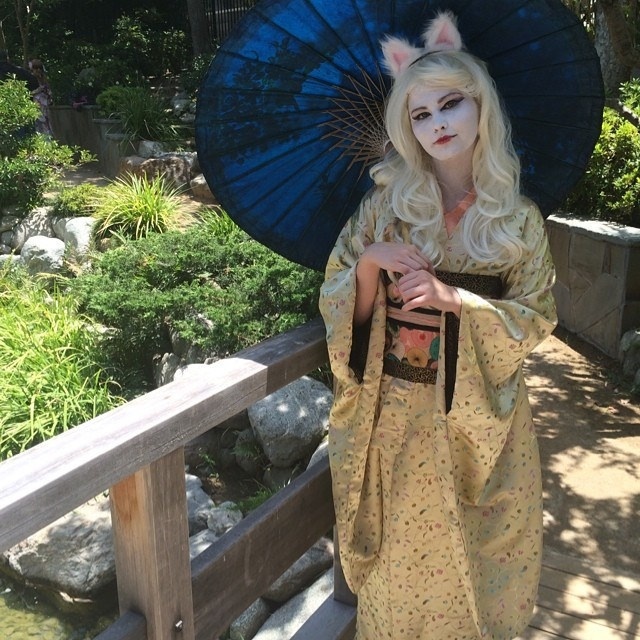 With themes from Japanese and American Pop Culture, the Club made character improvisations, and independently taught themselves in thespian and costume aesthetics. This proved to be a more useful medium for the short term members to become active in social events, and gain trust between parents and friends in attending Conventions and field experience. 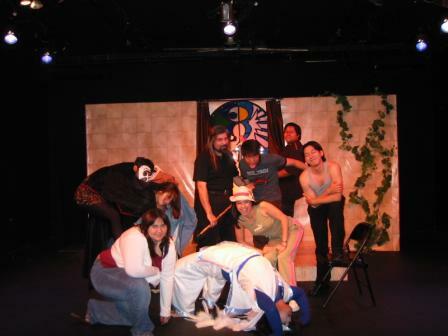 By 2004, the Club had started their first professional production in the Gene Bua: Acting For Life Theatre! (Burbank, CA) with Project Italy. Theatre soon became a new passion. The name changed with the three lasting members of StarGazerZ by 2009. The name Azure Lorica is a representation of each member’s passion away from the Cosplay scene: as an Artist, as a Poet, and as a Gamer — encouraging all three medias, to form a Theatre Company made for the 21st Century. The name itself has many definitions, depending on the culture referred (Italian, Irish, etc. ), which in part is served as a vehicle of adaptive interpretation for the changes we made. Until 2011, Azure Lorica was performing between the Whitmore-Lindley Theatre Center in the NoHo Arts District of California, and at the Donald R. Wright Auditorium in the Pasadena Central Library. We have catered to Los Angeles families through our premiere of JOURNEY SEEKERS: A Steampunk Adventure! and continued with more family-friendly events. By 2012, after a few panel presentations and fund raisers, the remaining two founders (Artist and Poet) began sponsoring small production groups. The groups came and went, until the company built it’s own programs with the individual members from the independent groups – joining Azure Lorica in building the Azure Lorica Foundation. From 2013 to 2015, Ninja-Con was produced annually at the Japanese America Cultural and Community Center, within Downtown Los Angeles’ Little Tokyo Arts District. A number of small events were produced between LA, Pasadena, and Long Beach throughout each year, including the Skull Girls Fan Expo, Fate Pendulum’s Project Italy, and many more. On 2016, Azure Lorica produced a few festivals (Ninja-Con, FanFilm Awards, etc. ), emagazine publishings (blogs & Triskele Press Magazine), and solidified it’s new mission due to the needs of our Patrons: equality as geeks. But by 2017, the Presidential election had changed the strategy for equality. All of the brands were replaced with Azure Lorica's title, allowing no mistake over the mission of the company - replacing the independence of each brand as a separate entity, and integration the nonprofit's programs to completely support social justice, not as a niche, but towards the whole community.